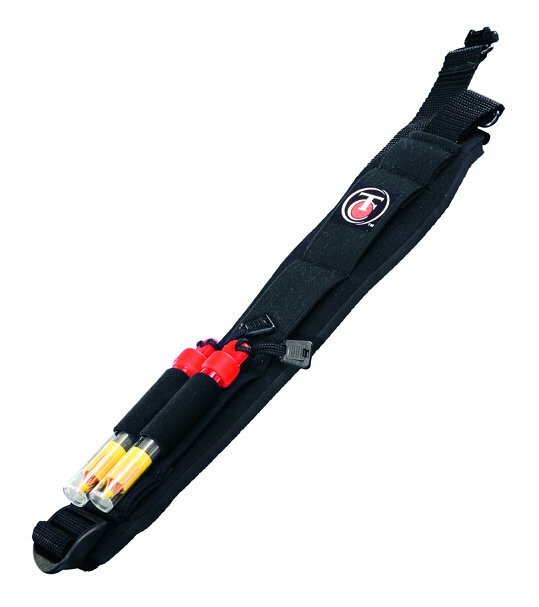 A rugged rifle sling with built-in quick-detachable swivels that will fit most muzzleloaders. Comes with two accessory Speed Shots. Gives shooter instant access to two reloads. Sling spreads the load over a large area to provide maximum comfort. Embellished with the T/C logo. For more Muzzle Loading Accessories Click Here.